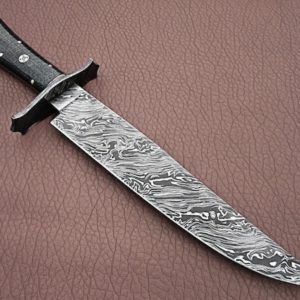 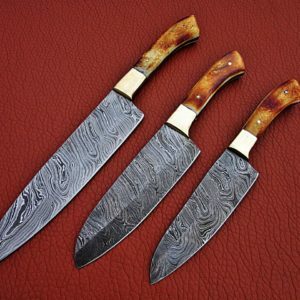 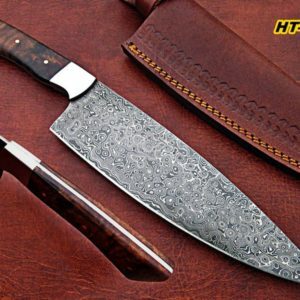 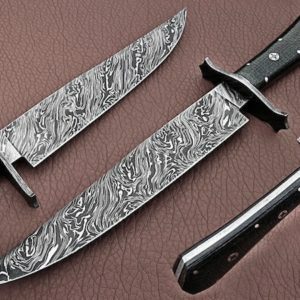 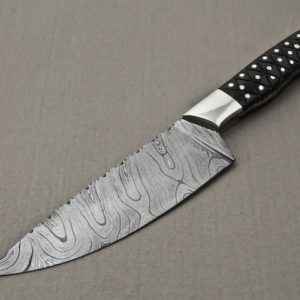 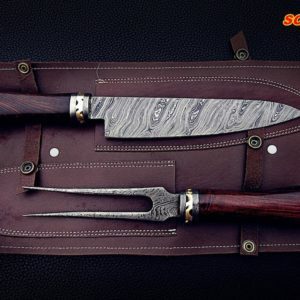 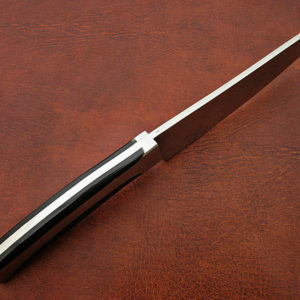 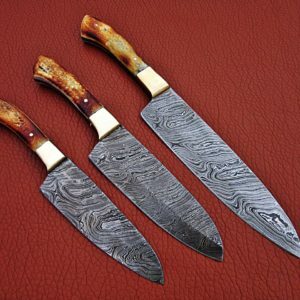 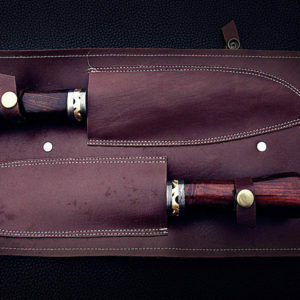 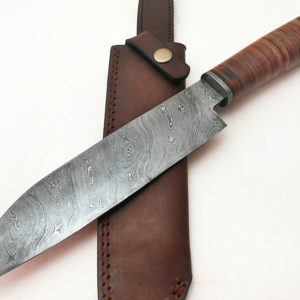 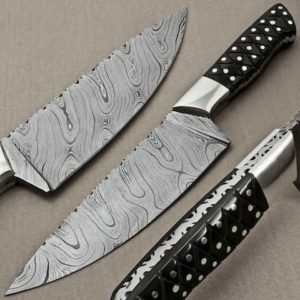 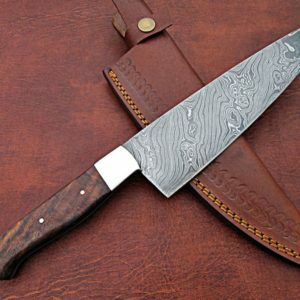 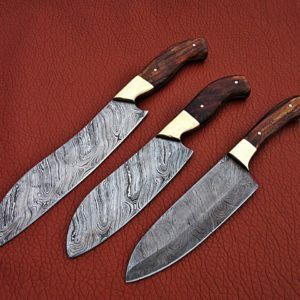 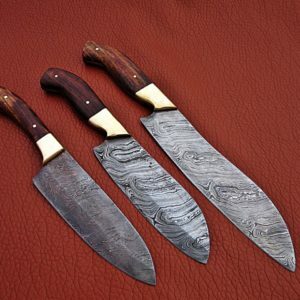 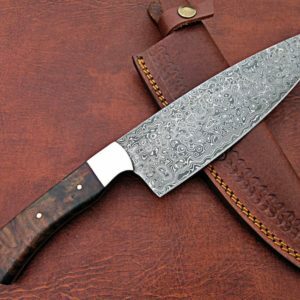 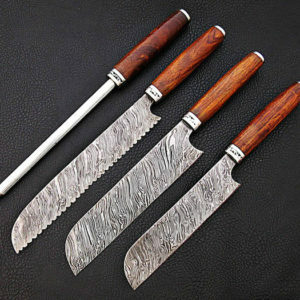 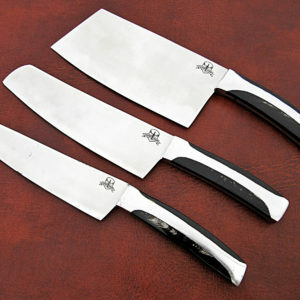 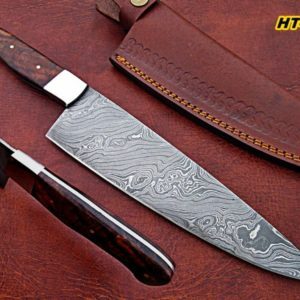 Materials; Damascus steel, leather sheath, Damascus chef knives 3 pc set, hand forged steel, 3 pc set chef knives, great set gifting knives, use as everyday knife. 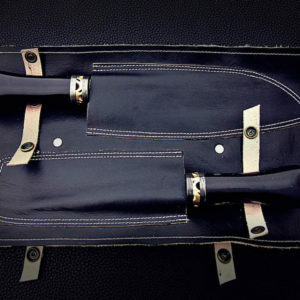 *This Popular ITEM IS SOLD OUT Accepting Orders will ship 4-6 weeks from Order Date. 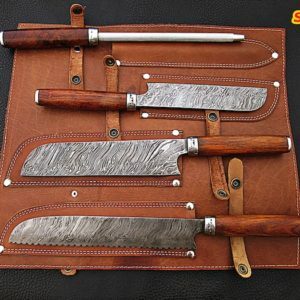 Materials; Damascus steel, leather sheath, Damascus chef knives 3 pc set, hand forged steel, 3 pc set chef knives, great set gifting knives, use as everyday knife. 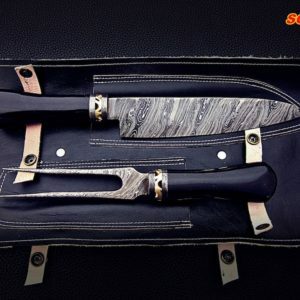 Sale Item. 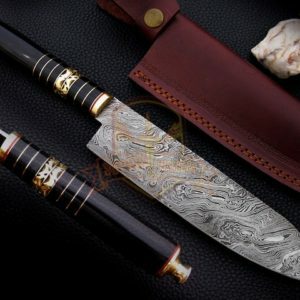 May have cosmetic flaws on blades.